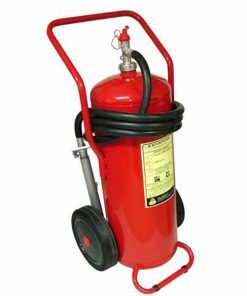 Fire Shield brand lSl Marked Water Stored Pressure type Fire Extinguisher 50 Itrs. 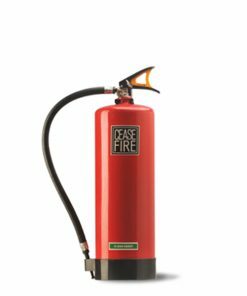 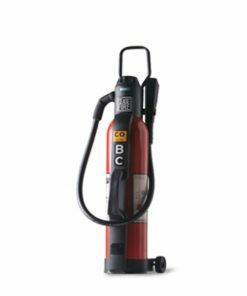 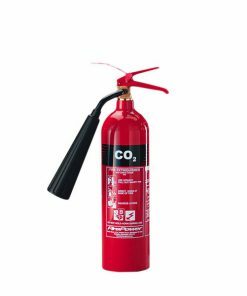 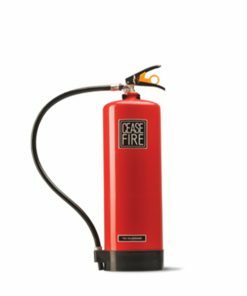 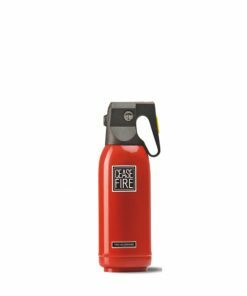 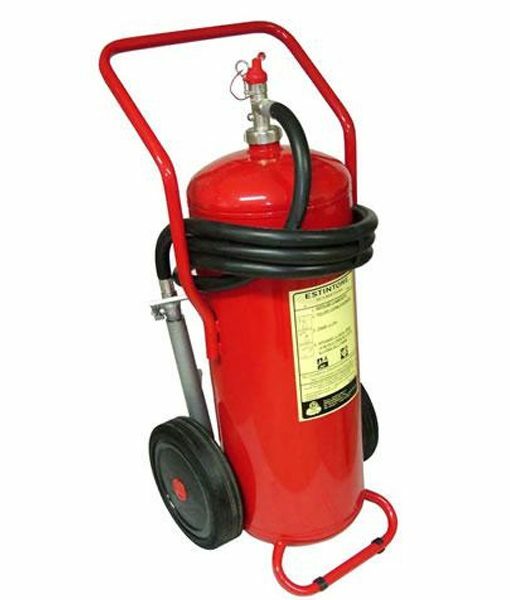 Fire Shield Water Type 50 Ltrs – Fire Extinguisher is fitted with Forged Brass squeeze lever discharge valve, conforming to IS: 15683 : 2006 complete with initial refill consisting of lSl Marked Co2, gas cartridge of 60 gms. 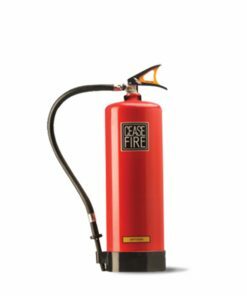 capacity conforming to lS: 4947, suitable for operation between 5C to +55C, Fire Rating Class – 3A, mounted on trolley wheels conforming to lS: 13385. 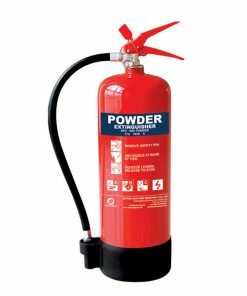 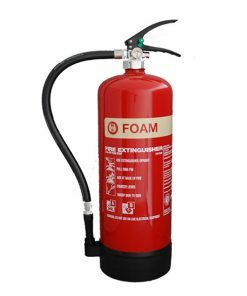 Water fire extinguishers are suitable for use in environments containing solid combustible materials such as wood, paper and textiles. 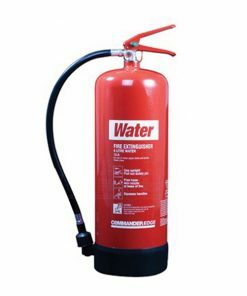 It is important to remember that water conducts electricity and should not be used around electrical equipment. 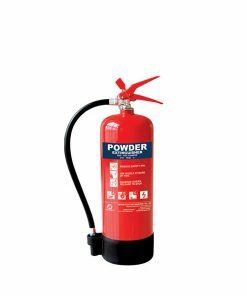 Water type fire extinguishers extinguish the fire by taking away the heat element of the fire triangle.